The ultimate evolution of Super Mario Bros. is here! Mario experience of your dreams has arrived and is bursting with creativity…including yours! 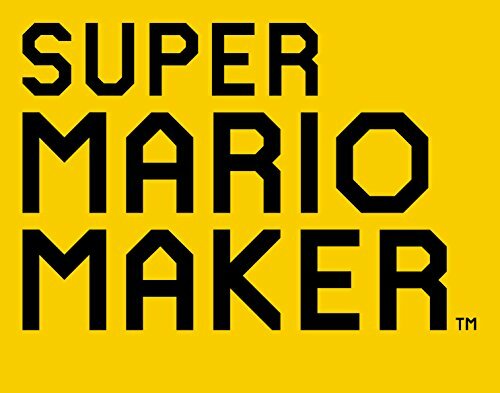 Play a near-limitless number of intensely creative Super Mario levels from players around the world. 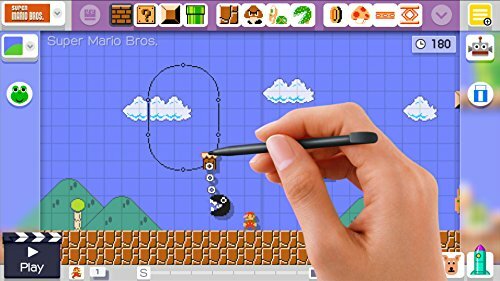 It’s easy enough to create your own levels with the Wii U GamePad controller that it may feel like you’re simply sketching out your ideas on paper, but you can now bring enemies and objects into a playable course in ways you could only dream of before. 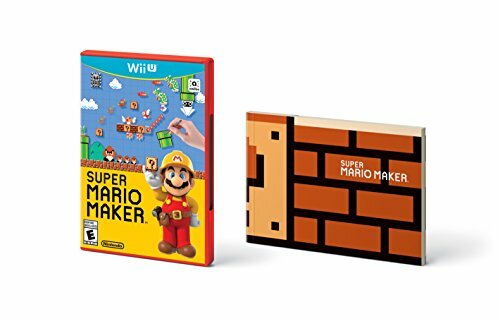 What was impossible in traditional Mario games is now impossibly fun, so let your imagination run wild! Play a near-limitless number of Mario levels created by Nintendo and players around the world. 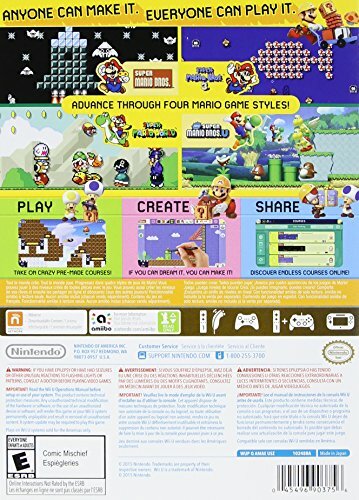 Create your own Mario levels by using the Wii U GamePad controller touch screen to add enemies, blocks, pipes and more. 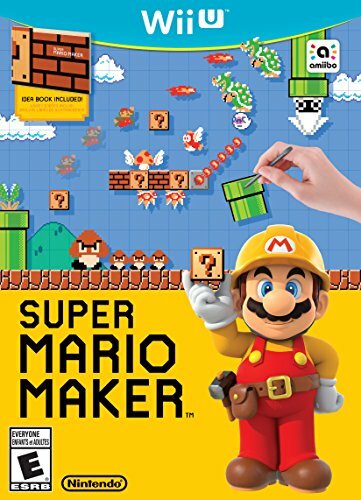 Break the conventions of traditional Super Mario gameplay by blending enemies, traps and items into unexpected twists, like Piranha Plant-shooting cannons, power-up-tossing Lakitus, or even Hammer Bros. riding on Bowser while bouncing on trampolines..
Touch control, instant editing and a robust online ranking and search system makes creating, playing and sharing a seamless process. Super Mario Bros., Super Mario Bros. 3, Super Mario World, and New Super Mario Bros. U.
Transform into different characters at random with the new Mystery Mushroom item. Expand the roster of possible characters by completing 100 Mario Challenge mode or tapping compatible amiibo. Tap a 30th Anniversary Mario amiibo figure to the Wii U GamePad controller to add a Big Mushroom power-up to your course! Each retail copy of the game will come with a special booklet that offers fun ideas for designing courses. Nintendo has made Mario games for decades. Now… it’s your turn!